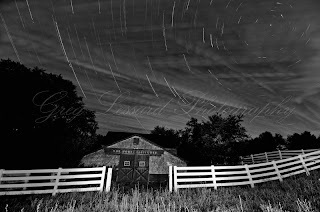 Last night I led a star trails workshop with the South Shore Camera Club. Fifteen of us went to a very historic barn, "Horse Latitudes" in Middleboro. We discussed a variety of tips and techniques to make beautiful star trails. Around 8:15 we started making images using intervalometers. The sky was dark and the stars were bright. 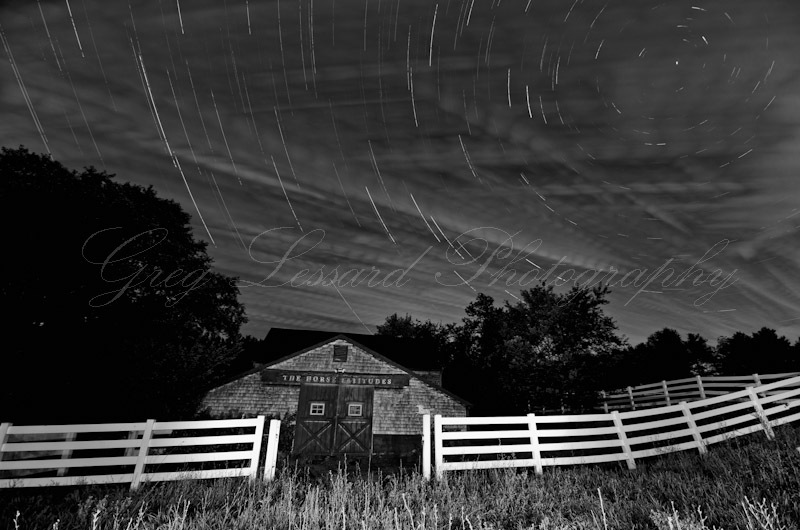 With a little bit of light painting, we were able to illuminate the foreground, which was a beautiful barn with a rambling white fence. As the night turned colder, we were a little disappointed to see that Logan Airport had changed its approach pattern to go right over the barn. A jet flew through the seen every few minutes. Fortunately everyone took it in stride and continued to have a great time! Once everyone had their cameras up and running, the snacks came out. I was impressed with how well prepared the camera club members were with their snacks. Salami, fresh fruit, home baked cookies... these folks know how to brighten up a long photo session! While we were spending a couple of hours photographing the stars, I used my laptop to teach everyone how to stack our images using a variety of editing tools. I had photographed the same scene the night before and was able to show my editing process step by step. Last night, it became really chilly. Our lenses repeatedly fogged and everyone was dreaming of a nice warm fire. The temperatures eventually fell into the 40's! I was really proud of the group for sticking it out in the cold night air. I think we all had a great time. I know I did! 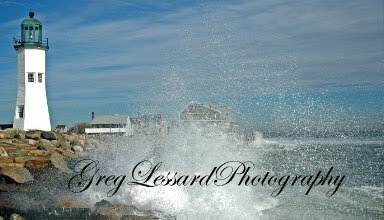 The South Shore Camera Club is a really nice group of people who are a lot of fun to hang out with. It was really great to see so many familiar faces and meet some new people too! I also would like to thank my friend Doug, the owner of the farm for letting us photograph his barn late into the evening. The image accompanying this post was made as a test shot the night before the workshop. The skies were partly cloudy. The red color came from some light pollution that was reflected upon the clouds. Rather than try to get rid of the red, I decided to enhance it. The star trails were approximately one hour in length. While I like the color version the most, I was tempted to see what it would look like in Black and White. I am curious to see which version everyone prefers. Sorry I missed you, Greg. For me, the white fence is too strong. I prefer to Crop on both sides to make it a vertical picture. I am sorry you weren't able to join us last night. We had a great time! I appreciate your preference for a vertical crop. By keeping this image wide, I was able to include Polaris which was an integral part of our workshop for star trails. Thank you for your interest in my photography. I hope to see you at my next workshop! I hadn't realized that you had been light-painting. Nice job!